AquaCabinets® is a new brand of bathroom furniture joining Bathroom Brands portfolio. In direct response to the four main UK bathroom demands of limited space, unerring style, the damage that can be caused by water and humidity and colour-fade that is associated with UV light, AquaCabinets can provide a flawless answer for all. The AquaCabinet® fitted bathroom furniture range brings together a fascinating mix of elegant, fade resistant, tough, cabinetry featuring stylish gull-wing and curved doors, with high gloss finishes in a range of on-trend colours and the movement-sensor internal lighting that is exclusive to AquaCabinets, The eleven different ranges comprise of modular and fitted, wall-hung and floor standing, basin and WC units that each incorporate technology to ensure resistance to damp and the fading effects of natural sunlight. 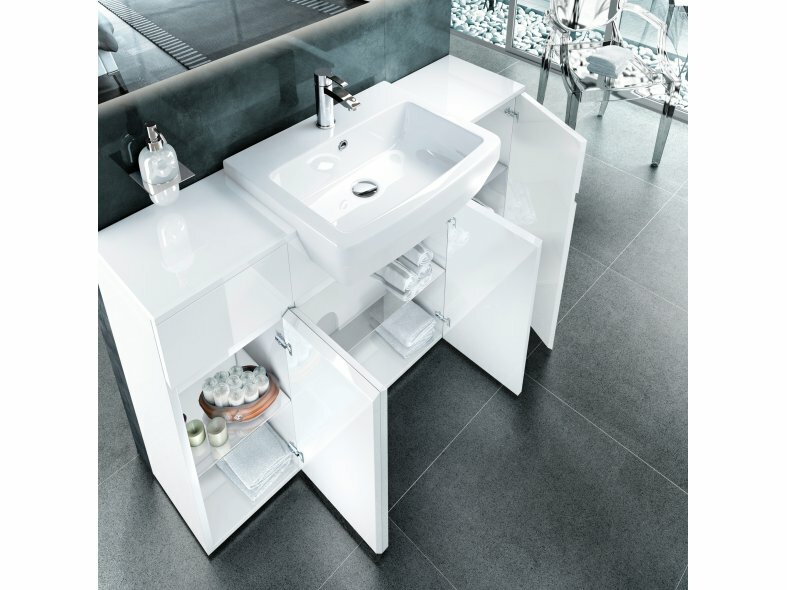 The bathroom furniture range includes counter-tops in luxury Carrera marble for stylish ceramic vessel basins or seamless Quattrocast® vanity tops. Stylish door and end-panel finishes are available as high gloss white, reef, black or ocean. Illuminated Mirrors with demisting pads complement the range along with a choice of contemporary basin mixers and bath fillers. 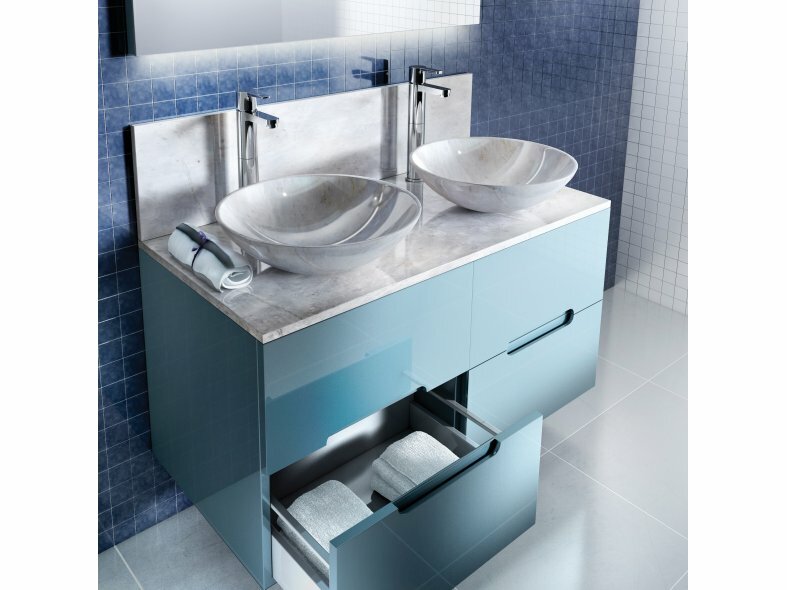 Innovative solutions for the smallest spaces include the ingenious AllinOne cloakroom with a wide range of complementing basins, brassware and accessories.